Shop online for 15 kens plastic models at discounts up to 20%. 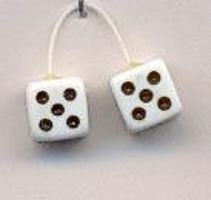 This is the 1/24-1/25 Scale White w/Black Dots Fuzzi Dice by Ken's Kustom Kar Supply. 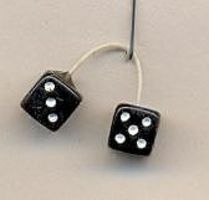 This is the 1/24-1/25 Scale Black w/White Dots Fuzzi Dice by Ken's Kustom Kar Supply. This is the 1/24-1/25 Scale Cream w/White Dots Fuzzi Dice by Ken's Kustom Kar Supply. 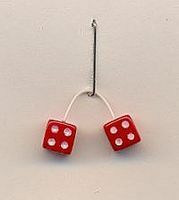 This is the 1/24-1/25 Scale Red w/White Dots Fuzzi Dice by Ken's Kustom Kar Supply. 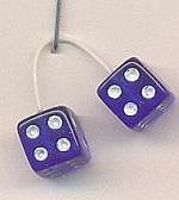 This is the 1/24-1/25 Scale Blue w/White Dots Fuzzi Dice by Ken's Kustom Kar Supply. 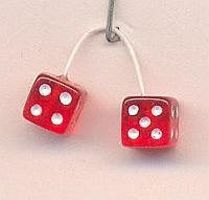 This is the 1/24-1/25 Scale Transparent Red w/White Dots Fuzzi Dice by Ken's Kustom Kar Supply. This is the 1/24-1/25 Scale Baby Blue w/White Dots Fuzzi Dice by Ken's Kustom Kar Supply. This is the 1/24-1/25 Scale Medium Blue Fuzzi Fur by Ken's Kustom Kar Supply. This is the 1/24-1/25 Scale Transparent Lime Green w/White Dots Fuzzi Dice by Ken's Kustom Kar Supply. This is the 1/24-1/25 Scale Green w/White Dots Fuzzi Dice by Ken's Kustom Kar Supply. This is the 1/24-1/25 Scale Lavender w/White Dots Fuzzi Dice by Ken's Kustom Kar Supply. This is the 1/24-1/25 Scale Transparent Blue w/White Dots Fuzzi Dice by Ken's Kustom Kar Supply. This is the 1/24-1/25 Scale Orange w/White Dots Fuzzi Dice by Ken's Kustom Kar Supply. This is the 1/24-1/25 Scale Pink w/White Dots Fuzzi Dice by Ken's Kustom Kar Supply. This is the 1/24-1/25 Scale Gray w/White Dots Fuzzi Dice by Ken's Kustom Kar Supply.